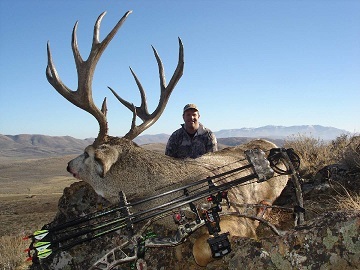 News & Info about hunting big game in the Mountain West. The 2015 population estimate for mule deer in Utah is 352,900 deer; 83% of the long term management objective of 425,400 deer. Since the large decline during winter 1992– 1993, the deer herd has shown an increasing trend. The population had good growth during the mid-late 1990s, but then declined during the severe drought years from 2000 to 2003 when fawn production was reduced. The harsh winters in northern Utah in 2007-2008 and in southern Utah in 2009-2010 lowered adult and fawn survival and also caused population declines. Despite of those weather events, the deer population in Utah has grown at an average rate of 1.6%, over the past 20 years and is now at a level not seen since 1992. 2012 – 2014 provided great fawn crops with most units seeing 70% + survival rates. 2011 was devastating to the fawns with the late snows Utah had. Some areas registered less than 10% fawn survival. The state average during 2011 was about 40% fawn survivor rate. 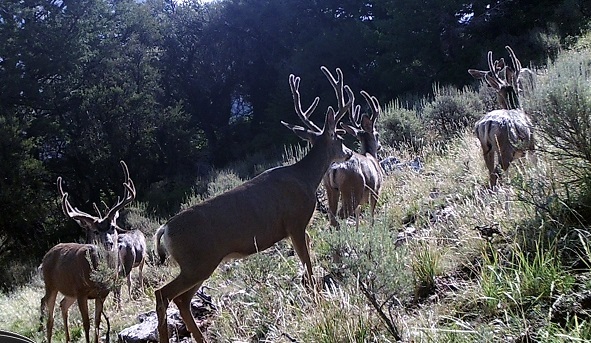 This means that Utah hunters will be seeing a lot more bucks this year. They may be young bucks but the action should be as good as its been for years. With the continued population growth and the incredible fawn survival rates the last couple of years, there will be a lot of deer in most units to see and hunt. Should be one to remember for a long time. I will list my top units to deer hunt in Utah during 2015. I will break these down according to Unit types (Premium, Limited, and General Season). I will list these below starting with what I feel is the best unit. I will include buck/doe ratio and this years fawn survival rate. I will then give you the potential buck score for that unit. 1-Henry Mountains – 56:100 Ratio, 78% Fawn Survival, 170+ Potential score! 2-Paunsaugunt – 44:100 Ratio, 72% Fawn Survival, 170+ Potential score! San Juan/Elk Ridge – 26:100 Ratio, 90% Fawn Survival, 170+ Potential score! Book Cliffs – 38:100 Ratio, 89% Fawn Survival, 160+ Potential score! West Desert Vernon – 25:100 Ratio, 80% Fawn Survival, 150+ Potential score! South Slope Diamond Mountain – 36:100 Ratio, 77% Fawn Survival, 150+ Potential score! Fillmore, Oak Creek – 23:100 Ratio, 74% Fawn Survival, 150+ score! Unit 25B – Plateau, Thousand Lake – 27:100 Ratio, 77% Fawn Survival, 160+ Potential score! Unit 14A San Juan, Abajo Mountains – 19:100 Ratio, 80% Fawn Survival, 160+ Potential score! Unit 30 Pine Valley – 23:100 Ratio, 77% Fawn Survival, 160+ Potential score! Unit 23 Monroe – 25:100 Ratio, 70% Fawn Survival, 160+ Potential score! Unit 29 Zion – 26:100 Ratio, 75% Fawn Survival, 150+ Potential score! Units 4/5/6 Chalk Creek/East Canyon/Morgan South, Rich – 30:100 Ratio, 68% Fawn Survival, 150+ Potential score! Units 25C/26 Plateau, Boulder/Kaiparowits – 20:100 Ratio, 75% Fawn Survival, 150+ Potential score! Unit 21B Fillmore, Pahvant – 26:100 Ratio, 80% Fawn Survival, 150+ Potential score! Unit 20 Southwest Desert – 30:100 Ratio, 77% Fawn Survival, 150+ Potential score! Unit 11 Nine Mile – 24:100 Ratio, 80% Fawn Survival, 150+ Potential score! Two units I left out of the top 10 this year compared to the 2013-2014 article are Units 8 (North Slope), and 19A (West Desert, West). There’s the addition of the early season ‘North Slope Summit’ unit in the Limited Entry draw for 2015. This alone will put enough pressure on unit 8 early on to make the regular season hunt a lot more difficult. The mature bucks that are in that unit during the early hunt will certainly be gone for the regular hunt. 19A fell to #11 due to the success of units 20 and 11 last season. Along with the jump in buck/doe ratio for those two units as well. I had no choice but to slide 19A out of the top 10. But it is still one of my favorite units. In my opinion, Utah is one of the best Mule Deer states in the country, hands down. With this statement I am making a lot of people upset or maybe even confused. Utah has all the same challenges to their Mule Deer herd as all the other states do and then some! Population, loss of winter range, and the increase in predators are huge concerns for Utah’s deer herd. What makes Utah tops on my list is the way they manage their deer. They do a tremendous job. In fact, most all other states watch Utah closely to see the choices they make in managing. Utah is a leader when it comes to managing their deer herds. Colorado is blessed with huge amounts of hard to access land. Wyoming is blessed with a low human population. Idaho is blessed with a low human population and huge amounts of land. Montana is blessed with all of these things too, but their management really needs to catch up to everybody else. Enjoy the 2015 season! Don’t hesitate to drop me a line to discuss the unit you have been drawn for and we can do what we can to put you on the buck of your dreams. Looks like a great 2014 hunting season had by all! I’m a big believer in the fact that “successful” is determined by the memories you make during the hunting season and not by the size of the antlers. Don’t get me wrong, I dream of those monster bulls and bucks showing up in my scope and on my wall. But if I judged my success by the size of the antlers or even by the fact of whether I was successful in harvesting an animal, I would find myself discouraged more than not. With that being said, congrats to those of you in this post for a very successful 2014 hunting season. Thank you for sending in some of your photos and sharing your experiences with me. I love hearing about all of your adventures and will post your stories and photos whenever requested. You can send your photos and info to shrinkfilm2004@yahoo.com. 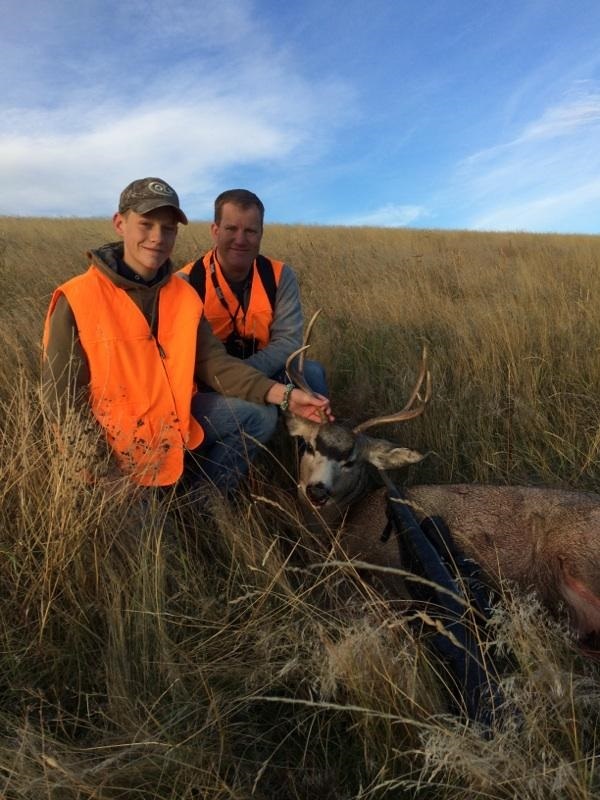 Here’s a couple beautiful Eastern Montana Bucks taken by Stuart and Paul. Taken on opening morning of the 2014 rifle season. 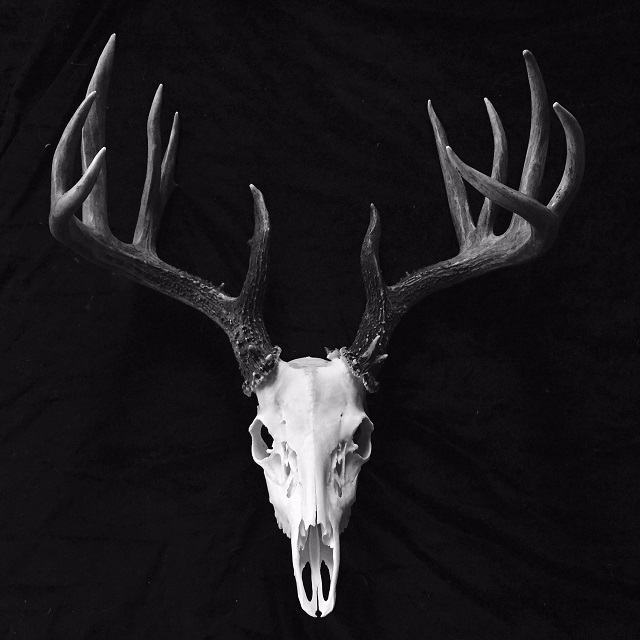 Beautiful European Mounted Whitetail taken by Jake in Eastern Washington during the 2014 season. 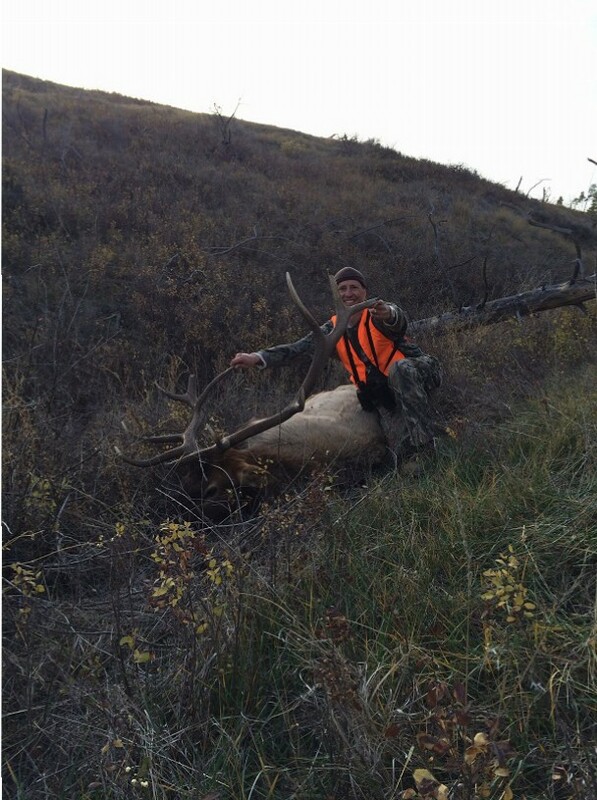 A battle-scarred 7×6 bull taken by Jason in Central Montana during the 2014 rifle season. Another great Montana bull taken by Stuart in Central Montana. 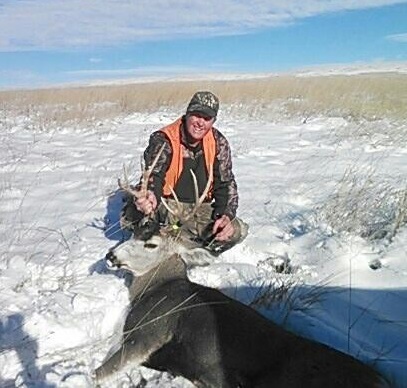 This is a great Utah buck taken during the 2014 Muzzle Loader season in Central Utah by Ed. 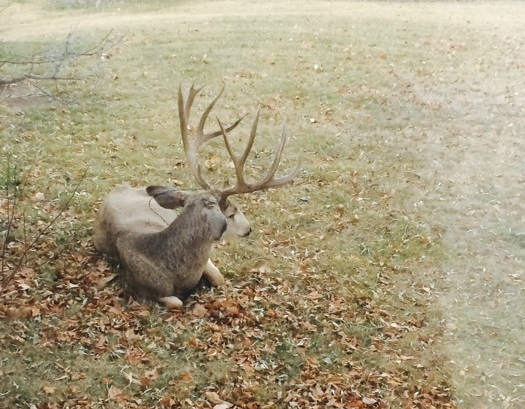 Bryan sent this photo of a buck that decided to camp out on his front lawn on opening morning of the 2014 Wyoming rifle hunt. Wonder how Bryan felt driving away from him to go to his favorite hunting spot…Hmmm. Great buck taken by Jared’s son Tyler (His first! )in South Central Montana during the 2014 rifle season. Beautiful, end of the season buck, taken by Brandon in the 2014 rifle season in Montana. Trail Cam of a group of bucks in Utah. This was taken the day before the 2014 archery season opener by Mike. I’m guessing he wasn’t able to get on them during the season however. Any updates Mike? Awesome 2014 Archery buck taken in Idaho by Clint. Beautiful buck Clint, congrats! Great Idaho Bull taken by Andy during the 2014 season! 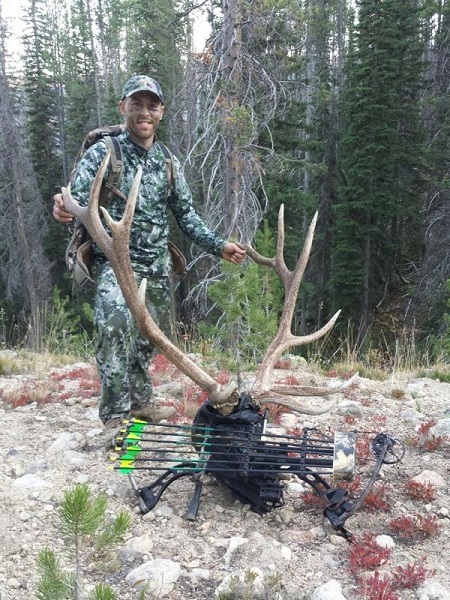 Andy with another incredible Idaho trophy, but this time its a giant buck. Don’t hesitate in sending me your pictures. I would be happy to post them with whatever info you would like. Congrats to a great 2014 everybody. Now, let’s get on to 2015! Although the Mule Deer numbers in Utah are low, about 55% of goal, there are some true monsters roaming them hills. If you take the time to plan your hunt and do some home work, you will be among some of these monsters this hunting season. Recently Utah has been in the top 3 on the number of bucks making the record books. It still comes up behind states such as Wyoming, and Colorado. Colorado has and will continue to provide the highest number of trophies entering the trophy books, but looking at the type of habitat and the quantity of this habitat that will not come as a surprise to any of us. Wyoming having such a small human population and a huge quantity of prime habitat that holds around 450,000 Mule Deer will also continue to produce monsters in the years to come. I mention this because Utah is very different from these other states in many ways. With nearly 3 million people living in Utah and about 250,000 Mule Deer, you can see why management has had to tighten up on the number of tags, smaller hunting units, etc. Utah has one of the highest amounts of public land compared to other states. This opens up a lot of opportunities to hunt a lot of different areas. Now, let’s look at this state and break it down so you will have a better understanding and hopefully a better knowledge as to where to hunt in 2013 and 2014. The common knowledge about this great Mule Deer state is where the highly publicized trophy units are. These trophy units include unit 15 (Henry Mountains), and unit 27 (The Paunsaugunt). Both of these units hold a buck doe ratio of at least 50:100. Both units have an average age of bucks taken each year around the 5+ year mark. Both units offer a very realistic chance of taking 180 to 200 class buck, and both units have about a 90% hunter success rate as well. But, it takes an average of 13-15 years to draw a tag, and I’m sure that will only increase in the coming years. So, are there any other units in the state that offer a chance at a 180+ class buck? The answer is an absolute YES! There are a few other “Limited Entry” units that are being tightly controlled for trophy quality such as the Henry’s and Paunsaugunt units. But they are not at the same quality level and will not provide as many trophy opportunities. But, then again, there are very few areas anywhere in the West that offer the same opportunities as these two units do. I will label these two units as A+ units. These are the only A+ units in Utah. There is one other A+ unit but I personally am not a fan of this even being a unit. This is Antelope Island. An island in the Great Salt Lake that recently produced a couple of monster Mule Deer. But, this is another post for another day. Now, for the A units. These units hold strong buck/doe ratio’s (around the 35 bucks per 100 does), hold good bucks that can score in the 175+ area, and provide better draw odds then do the A+ units. These units include unit 14B (San Juan, Elk Ridge), unit 10 (Book Cliffs), and unit 19B (West Desert, Vernon). These units are still considered a difficult draw unit and will still take some years to get drawn but closer to the 7-10 year area rather than the 13-15 like the A+ units. I listed these the same as I would rank them as far as giving you the best opportunity for a trophy buck. The San Juan, Elk Ridge unit is coming closer to being able to compete with the A+ units as far as quality opportunities. It’s not there yet, but I think this is the unit of the future and will only get better and better. These last units I will be listing are all considered “General Season” units. But, I will only list those units I feel give you the best opportunity for a trophy buck. These units are managed by the state of Utah to have 15-25 bucks per 100 does. You also have the chance of drawing one of these units 3 out of 5 years. I will list them as I would rank them. The first unit is 25B (Plateau, Thousand Lake), unit 14A (San Juan, Abajo Mtns), unit 29 (Zion), unit 30 (Pine Valley), unit 23 (Monroe), unit 8 (North Slope), unit 25C/26 (Plateau, Boulder/Kaiparowits), unit 21B (Fillmore, Pahvant), unit 4/5/6 (Chalk Creek/East Canyon/Morgan-South Rich), and unit 19A (West Desert, West) round up my top 10 units. I love unit 25B! Although it is a smaller unit that really covers one small mountain range, it has giant Mule Deer! Much of this mountain range has farm land, mainly alfalfa, on its Western slopes. Mule Deer love alfalfa and will not go far from it. These Western slopes will provide a lot of animals and a lot of bucks. Be careful with privet land as there is a lot of it in the valleys. Also, there are some privet hunting ranches on the North edge of this unit. If you can find these and hunt the Southern edges you will have success. San Juan and Zion will also provide you with some GIANT deer. Recently both of these units have supplied amazing animals and will continue to do so. I was going to include unit 17A in my list but it was beat out by the West Desert (Which is my secret trophy spot). Unit 17A has tremendous bucks, but to get to where they are at requires a mule of a hunter. I highly recommend 17A if you have the stamina and guts that it takes to hunt sheep, and goats. Because this is the terrain we are talking about with 17A. 13,000+ foot peaks that fall to valleys far below in all directions. If you have what it takes to hunt this unit then you will not be disappointed. This unit sits at the edge of some of Utah’s highest human populations, but because of its terrain and difficulty level, most of the hunters that hunt this unit hunt around the base of the mountains and do not attempt to go any higher than their 4 wheelers can take them, and that’s not very high. So the huge boys can survive and they do. If you are lucky enough to hunt Utah during the 2013 season, make it a point to go where others do not. If you do this you will increase your odds on a pig of a buck. The trophy’s are out there and Utah holds a lot of them. There are a good number of professional hunters that hunt public land, here in Utah, and put them on video’s and TV shows. They make a lot of money doing it. This just goes to show you that there are huge deer in Utah, and if you do your home work you will find them. I hope this has helped some of you with your Utah hunt for 2013 and 2014. I believe Utah manages their big game animals better then any other state. All the Western states are struggling with their Mule Deer, and this includes Utah. 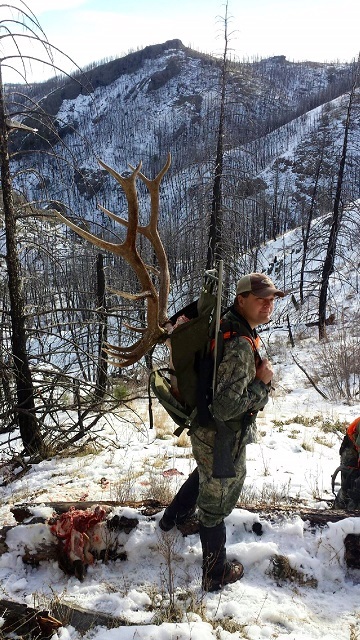 But Utah has some very unique challenges that no other state has, and they continue to do amazing things to keep this traditional monster Mule Deer state as one of the top locations to go for this amazing animal. Please do your part in helping with the conservation of the Mule Deer. If we all do what we can to help we will have these incredible opportunities for generations to come. Where Do I Go For Montana Mule Deer In 2013-2014? Being a dad of four amazing girls is a blessing that goes without saying. But, it also forces you to “Sacrifice” certain things that I love to do. This years “sacrifice”? The archery season in my home state of Montana. With my daughter making the high school volleyball team and the other endless activities that these four amazing girls love doing, I had to put the archery season on the back burner and instead, look forward to the rifle season. The big question for me, and I’m sure most of you other Montana Mule Deer hunters, is where do I go this year. If you recall from a past post, last year I put in for area 510 (Pryor Mountains) for Mule Deer. This year, I opted to just purchase an over-the-counter deer tag. This opens up a lot of other areas and options that I did not have last year. But, I’m not always good with options. Perfect example, walking into a restaurant and opening the book…I mean the menu, only to see hundreds of options. Put three things on the menu and I would be fine with that. So, although last season provided me with the ease of few options, it did feel as though I missed out on opportunities. Whether I did or didn’t isn’t a big deal, but it will be fun to have a wide open menu of Mule Deer location options this year. I’m confident that many of you have your favorite spot. I’m sure many of you have the family traditional spot that you have been hunting since Lewis & Clark first showed it to your great, great, great grandpa. This isn’t for you, this is for those of us that are in search of the 100’s of options menu. If there is a state that offers 100’s if not 1000’s of options, it’s the great state of Montana. First, Montana has a historic reputation for its abundant wildlife. At the top of this list is Mule Deer. Montana also has the historic reputation of not consistently producing B&C type bucks. The state is currently holding about 215,000 – 220,000 Mule Deer. This is down compared to the 10-year average of about 286,000. This is primarily due to the harsh winter of 2010-2011 where the deer herd took a huge hit. Along with the harsh winters, Montana witnessed a summer of fires in 2012 that scorched tens of thousands of prime Mule Deer habitat. But, with the 2011-2012 & 2012-1013 winters being mild, the population is making big strides in coming back, and the quality of feed, even in the areas that experienced the fires, has been fantastic so far this year. The last two springs have averaged a robust fawn crop of 45 fawns per 100 does. This does mean an abundance of young bucks are covering the state, but with some patients you can pass up all of these young ones and find you a mature buck. Montana has a lot of mature bucks, maybe not a lot of trophy bucks, but mature bucks all the same. Now, where to go hunting and where to find a big bruiser. In the past you could always count on Region 3 as being the go-to region in Montana. Although I have nothing against region three, it would not be my first choice anymore. That #1 position has now been taken over by region 7. Western Montana has not seen the devastating winters as Eastern Montana has recently, but it has suffered from fires, decreased food quality, increased predator numbers and increased hunting pressure. Although the deer numbers in region 3 are still close to goal, you just wont see the quality or the number of mature bucks that the Southern part of the region is famous for. Famous areas such as 300, 302, 325, and 328 are all down with numbers and mature bucks. Some big brutes will be taken and are each year, but they will require a lot more work and patience then in the past. One area that has seen an upswing in both numbers and quality is areas 313, 317, and 316. But be ready for a hard, high altitude hunt that will require everything you have. A couple other areas that still hold great animals (but not like recent past) is area 312 and 393. Most all of these units are draw only units, so that is where your real challenge will be. 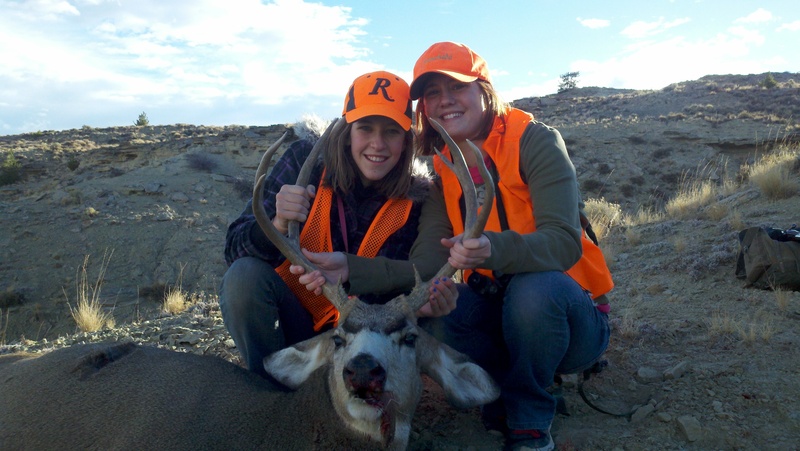 Region 1 has kept a fairly stable Mule Deer population. I would recommend hunting the Cabinet and West Cabinet Mountains. The Whitefish Range still holds solid bucks and would be one of my few top picks. Region 2 gives me no goose bumps at all. I would look to other regions if I were you. Region 4 is a very large region. In reality, there are two different worlds in this region. The Western and Eastern parts of this region are still suffering with record low Mule Deer numbers. The Central part is doing very well with around 54 fawns per 100 does. Look in and around Judith Basin and Meagher Counties. There will be plenty of opportunities of seeing more deer and some solid mature bucks as well. Region 5 is very similar to region 4, in that it contains really two different worlds. Simply draw a line along the Yellowstone River. Everything North, specifically in and around the breaks area, is seeing huge fawn to doe ratio increase. The Mule Deer numbers have shot up the last two years. Lots of deer and a lot of mature bucks are waiting for you. What’s not waiting for you is a lot of public land. But there are some fantastic BMA properties that will provide you with a memorable hunt, that is if you get on the phone and secure some dates on those properties. 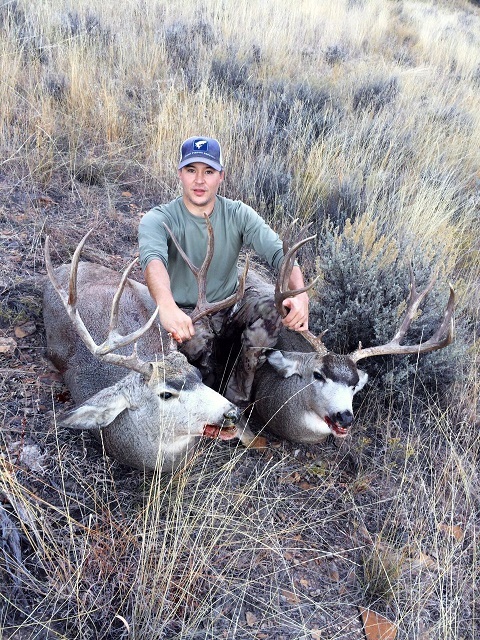 Region 6 is another traditional hot spot for Mule Deer in Montana. The winter of 2010-2011 destroyed this heard and took out a lot of the older class bucks. The Spring of 2011 and 2012 yielded record fawn crops in the region. There is an upswing in the area as far as numbers are concerned, but it will take another 2-3 years before we see any true increase in both age and quantity. Region 7 is my top pick out of all the regions here in Montana. Although, there were no other regions hit harder by the 2010-2011 winter, and the heard numbers are still below goal, but the fawn crop in the past two Springs have been incredible. This region also holds your best chances of a monster of a buck. The bad thing about region 7 is how little of public land there is. The little bit of public land that is available in this region is hunted hard. But, you will still have a great chance of finding a descent buck within these areas. For the true trophy of a life time, I would recommend the South East corner of the state. Areas that hug the Powder River holds the best animals. From Terry all the way down to the Wyoming border. North of Terry is hunted very hard, as is the forest land in that area. Zone 705 is also hunted hard due to available public land and BMA properties. Although this is a long drive, even for local people, it will be worth your time and effort to venture in the badlands of South East Montana for the 2013 Mule Deer Season. Good luck this year! I will have posts in the coming weeks for Colorado, Utah, and Idaho. Until then, keep your gun pointed in a safe direction and your boots dirty. My girls enjoying the 2012 Deer Hunt. There are a lot of way’s to determine whether or not a hunt is successful. 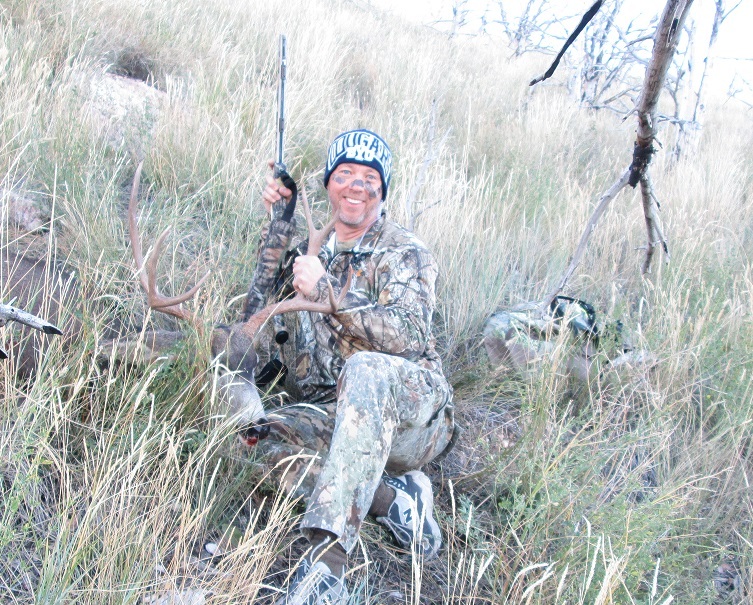 At the beginning of the 2012 Montana deer hunting season, I had my sights on having a successful deer hunt. My definition of success had a huge rack of antlers attached to a huge Montana Mule Deer buck. This hunt started all the way back to March of 2012. This is the month where all the Montana hunters, with big dreams in their heads, put in for the special draw for deer and elk. Now, I being new to Montana, and not knowing the best or worse areas to try to get drawn for, had placed me at a little disadvantage. I took some time talking with a lot of people about where they would recommend to hunt. Some were not very willing to give me their “secret” spots or the areas that they have hunted for year. Others had some great advice and were very helpful. I did not want to travel very far away from my residence in Billings, but if any of you know anything about Billings, you would know that there is not a lot of public land to deer hunt around the area without a fairly decent drive. After taking some time looking through the hunting information and considering the information gathered from friends and others, I decided to put in for three locations. Two of those areas were highly recommended by those I talked to. The third was a personal decision based on percentage of drawing the tag and it’s close-to-home location. I placed that selection as my third choice and sent in my application. One thing I love about Montana is you don’t have to wait long to get your results back. Unlike other states where you apply and then do the waiting game for months. The day finally arrived and I received my very first Montana Deer hunting tag. Sadly, I was not successful for my first two options, but my third option was marked as being successful and I couldn’t have been happier. I was drawn for the Pryor Mountain Region. The Pryor’s sit at the very far Northwestern end of the Bighorn Mountains located in Northern Wyoming. They are located on the Southwestern edge of the Crow Indian Reservation and approximately 35-45 minutes South of Billings, Montana. I was very excited for the opportunity to get to know this area better. I spend a lot of my time traveling to Cody, Wyoming for work, and have a chance to drive past the Pryor’s with each trip. The area covers a very large area and it has so many different types of topography and habitat. From high alpine mountains to low sagebrush desert, it seemed to me as being a Mule Deer hunters dream location. Many of you may be familiar with the Pryor Mountains due to its very unique heard of wild mustangs. These mustangs were made famous by a documentary done quite a few years ago on PBS, I do believe. With the horses names, such as cloud, etc. You can find this documentary on YouTube. With one look at this you will be able to see the very different habitat it provided. A few days had passed when I bumped into one of the gentleman I had received some good information and suggestions on where to hunt. I told him about my successful draw for the Pryor’s and his immediate response was, “There are NO deer on the Pryor Mountains”. After clearing my head of loud sirens going off and the thumping sound of my heart landing solidly on the ground in front of me, I asked him to repeat what he had just said. He then looked at me with a smile that speaks louder than words, not to mention more hurtful than words, and said “why in the world would you put in for the Pryor’s when you have so many other choices? A standard over-counter deer tag would have been better than hunting the Pryor’s”. Well, needless to say, I was crushed. My hopes of having a successful deer hunt was instantly crushed, and I was getting upset just thinking about waiting another 12 months before I could put in for the 2013 deer hunt. But, it was done, I had a tag and there was nothing I could do to change the area that was typed on that tag. After a few weeks of feeling bad for myself, I decided to make the most of this experience and begin my scouting. My first call was to the Montana Fish & Game office here in Billings. My very first question that came out of my mouth to the nice young lady on the other side of the phone was, “are there any deer on Pryor Mountain”? The sirens were not as loud as they were before and my heart didn’t drop all the way to the ground this time, even though her answer was the same answer given by my friend. I then asked her for the name and number to the local biologist that covered that area. I immediately called the biologist at his office in Red Lodge, Montana. I’m sure you can guess what my first question was to him as soon as he answered the phone. I found myself seeing a very small spark of hope with his comments about the area. He first told me that the Pryor Mountains are considered a very low deer population area. But, the buck/doe ratio was fantastic! The maturity of the bucks was higher, on average, than most other units in the state. He also said that the genetics were such that the bucks grew very heavy antlers with high chances of being non-typical. This gave me hope. All I had to do now was find where there were some deer, and from the sounds of it, if I found deer I would find bucks, and if I found bucks there was a very good chance they would be mature bucks with a good chance of having a heavy-set of antlers with the possibility of being non-typical. After a few months of scouting, calling the biologist and driving by, heading to Cody for work, I was once again slipping back to being frustrated as I had not seen any bucks and only a hand full of does. With one of my trips to Cody I began seeing something that I had not seen, or at least noticed, before. Just before reaching the Wyoming border along highway 72 (the most Western edge of the hunting unit), I noticed huge farms along the Clarks Fork River on my right and some descent sized mountains and ridges on my left. I then thought, there has to be field deer that come off of those hills to come feed and water at night then go up and bed along those ridges and canyons. I immediately called my new friend, the biologist, and talked to him about these thoughts. After a small pause and the sound of his voice reflecting a smile, he told me, “If I were you, and I had your tag, I would hunt those exact hills, draws, and canyons”. He then told me, out of all the deer he has seen alive or at check stations in years past, that area has produced the largest bucks in the entire hunting unit. After I hung up, and after my smile was slowly going down, matching my heart rate, I thought; why didn’t he tell me that before? Then with a smile and a soft laugh, I thought maybe he wasn’t as good of a friend as I thought he was. With that revelation followed by the confirmation from my so-called biologist friend, my hunt was set. First thing opening morning, with two of my daughters in tow, we had driven to our predetermined starting point and began to hike. The morning had a good stiff wind so my initial thoughts were, these deer hate the wind just as much as we do and will want to get out of it as quickly as possible. The wind was blowing from West to East and we were hiking up the East side for this exact reason. After about an hour of hiking we were at the top of the ridge looking down towards the fields along the river to our West. The wind was just horrible and it was difficult to look to the west without the wind burning the eye’s and making tears flow. I decided to walk North along the ridge to find a spot we could sit down, get out of the wind, and allow us to see a huge canyon on the East side of the mountain. My hope was the deer would file their way up the saddle and cross over to the East side and drop into these canyons to get out of the wind and bed down. Now, keep in mind we have not seen a single deer all morning. We had not heard any shots, or seen a lot of sign, so my confidence was shaking a little. In reality, I was starting to turn this hunt from a successful trophy buck hunt into a great time with my two girls. We finally found a perfect spot that allowed us to be out of the wind and yet, watch a large deep canyon. Directly in front of us was a step, or a flat area before it dropped into the canyon. There was also a fairly used deer trail that ran along this step that went left to right. We hadn’t been there for any longer than 30 minutes when the girls were getting a little board. One of my daughters had fallen asleep, only 2-3 feet to my left, and the other had slipped over the top of the ridge behind me to have a look around. So, I decided to get into my pack and find me an apple to munch on before I slipped off to sleep. As I was digging for my apple I caught some movement out of the corner of my eye. Looking up, there was a nice 3×3 buck walking along the deer trail directly in front of us. I reached over and tapped my sleeping daughter on the head. She woke, looked at me, and turned her head to see what I was pointing at. She instantly plugged her ears thinking I was going to start shooting. Now, this buck was walking just 30 yards in front of us with a fat belly full of alfalfa, corn, and whatever else was growing in those fields. He had only sleep on his mind and he was headed to his bed. Wanting both of my girls to see this buck, I turned around to see if my other daughter was seeing this. As I turned I saw that she was kneeling on one knee watching this beautiful buck walk by in front of us. She had a huge smile and was loving every second of it. She then looked at me and asked me to shoot him. Although, fewer things make a dad more proud than hearing those words from your daughter, this buck just wasn’t what I was hoping for this early on in the season. But then my other daughter joined her in asking/begging me to shoot. But I kept saying no and allowing this buck to walk slowly to his bed. Then the thought came to my head as to what my true definition of “successful Hunt” really meant. My thought of a huge, heavy horned, non-typical trophy buck was quickly replaced by having my daughters with me, experiencing this incredible moment of this incredibly beautiful buck walking in front of us. What would define a successful hunt better than having this moment with my daughters, and to top it off, allow them to experience me harvesting this beautiful animal. So, the decision was made to go ahead and shoot this deer. The time it took me to decide to take this buck , gave this deer time to go from being 30 yards in front of us to now nearly 130 yards. Making sure my girls were safely behind me, I took a good solid rest with my Browning A-Bolt .270 and set the Redfield scope cross-hairs just behind his left shoulder and squeezed the trigger. This beautiful buck hit the ground and my two beautiful girls jumped in the air screaming with excitement. Once we reached the animal, I was overwhelmed with the feeling of having a very successful hunt. 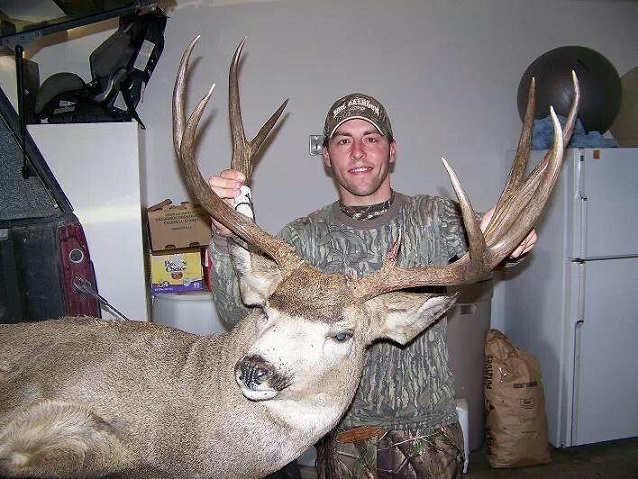 Yes, a trophy buck scored on size of antlers is a wonderful thing. But, a trophy buck scored on the experience, those you are with, and the blessing of having two of my girls to experience it all with is a trophy that will never be topped in my record books. I am so grateful for the opportunity to live in a place where these types of experiences are possible. We are a blessed people in a blessed nation. We need to always do everything within our power to protect these rights and to protect this incredible heritage that we all can experience each and every year. By the way, stopping at the local check station, this buck was aged at 8 years old. Just incredible! Follow The Rules for Shed Collecting!